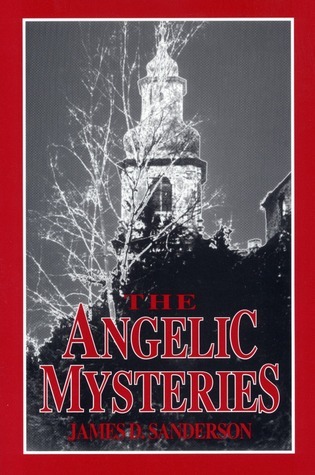 I rushed through The Angelic Mysteries in about one hour. However, this kind of themed book shouldn’t be rushed through. You have to create some time to ponder about the theme, about the message. For me it felt like the book just didn’t have enough words. Daniel is travelling through Europe, trying to find himself, to find God. On a misty day in Holland he meets a mysterious woman, Sarah. She claims to be an angel, descended from haven. But she is in terrible danger, she says. A demon from hell is after her. I liked the story. I liked the theme. It just could have been so, so much better. For every sentence in this book, I would like to add five more. Not more plot, just more words. More descriptions, more emotions, more everything. Just so it can become a story, not just words on a page. I want to smell the stinking water of Venice. I want to feel the rain on my skin. I want to know the main characters. Throughout the novella, I found the main characters Daniel and Sarah terribly lacking. They don’t seem to have a personality at all, they are just means to tell the story. It felt like they were puppets in a puppet-show. One-sided characters that the narrator uses to get his message across. Being a person that likes first-person narration, I’m more used to really being inside someone’s thoughts. I now missed all the emotions that make characters human, likeable. The upcoming paragraph contains some ranting of a teeny bit annoyed Dutch person, that stubbornly claims to know more about Europe than a writer from Colorado. Through the lack of detail I was left wondering even in which time this book is set. The writer mentions having to show your passport before crossing the Dutch-German border. If this book is meant as a contemporary, I would like to rectify something. Within the European Union, which includes (but is not limited to) the Netherlands, Germany, France and Italy, you never have to show your passport at the borders. We call it “open borders”. People within the Union are free to travel anywhere they want. It would now be completely impossible for Daniel to be denied crossing into France from Italy, just because he hasn’t got a passport on him. There are no border offices any more. I live in the Netherlands myself, about 5 minutes from the German border. I can dance on the street that forms the borderline, and the only indication that I would be dancing on German terrain, would be a little sign that says “Welcome to Germany!”. The only point I have here, is that, if this book is meant as contemporary, I would like the author to research more about the countries he writes about. If it is set pre-WWII, I take everything back. Even though he has clearly never been to Venice. Try finding an empty alley there. I wish you a lot of luck, and preferably some kind of miracle. I would still be interested in reading a full-length novel by Mr Sanderson though. If he does some more research, learns to incorporate some more details, he could write something beautiful. He has the potential and the ideas that make a book utterly awesome, he just has to make sure his writing matches his plotting talent. In case you’re interested, this is how the Dutch-German border looks. 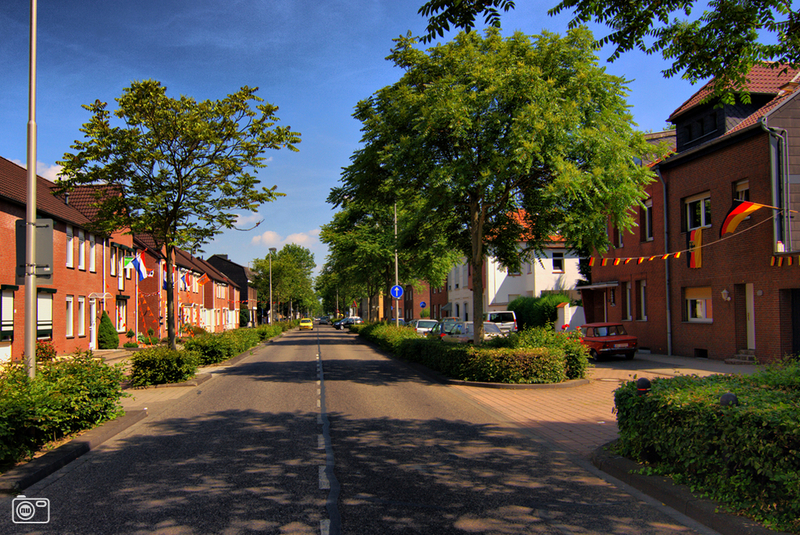 On the right side of the street you live in Germany, on the left side you’re living in the Netherlands. The picture was made 5 minutes from my house, during soccer-season. Traveling to Europe to escape the specter of madness in his life, Daniel Allman meets and falls in love with a woman who believes herself to be an angel. She is being pursued by a psychopath; a man she believes is an anti-angel. An action-packed thriller, a tender love story, and a literary adventure. The Angelic Mysteries: Where Heaven and Earth Meet.